Turbo Communication Inc. and Turbo Electrical Contractors, Inc. has been serving the Houston area since 1991. We specialize in custom installation, alarm monitoring, fire alarm systems, residential wiring of fans, plugs, and switches. Our staff offers quality and reliable products and services you can count on. In addition, our friendly and professional staff is here to answer any questions you may have about our company or services. Whether you need a residential and/or commercial electrical contractor, professional alarm service, home theater, home automation, we have what you need at prices you will tell your friends about. At Turbo Communication, Inc. and Turbo Electrical Contractors, Inc., our goal is to provide you with courteous, expedient, professional service of the highest caliber. At Turbo Communication, Inc. and Turbo Electrical Contractors, Inc. continues to give customers 5 Star Leviton Security and Automation treatment and knowledge. Leviton Security and Automation continues to expand product lines that decrease carbon footprints through energy efficiency, increase safety, and broaden user convenience. Are you tired of using several remotes to control the entertainment equipment you have purchased? Turbo is a professional installer of Universal Remote Control, Philips Pronto and Harmony Remote Controls. Having a user interface remote makes it easy for everyone to control all of the equipment. New remote technology allows the remote to work through closed cabinets, or in media closets helping to avoid clutter. Browse our Web site for more information about Turbo Communication Inc. and Turbo Electrical Contractors, Inc. 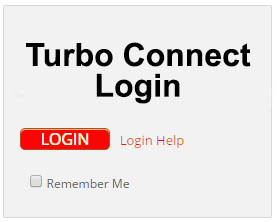 If you have any questions or would like to speak with a Turbo Turbo Communication Inc. and Turbo Electrical Contractors, Inc. representative regarding our products or services, please e-mail us at Info at turbo1.com or call us at 713-937-8098. At Turbo Communication, Inc. and Turbo Electrical Contractors, Inc., the customer is our employer so we work hard to keep our job. Turbo Communication, Inc. is licensed & regulated by the Texas Department of Public Safety Licensing and Registrations Service - Private Security Program.